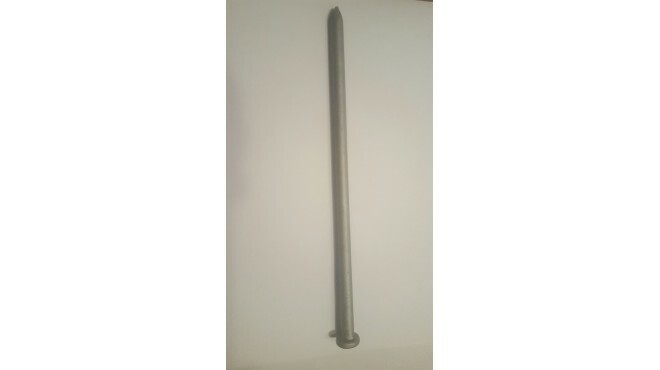 42" Poly Steel, one side only. 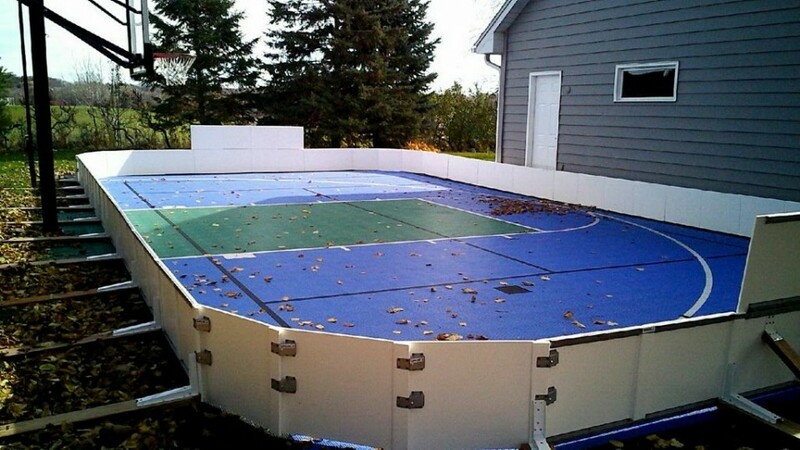 Put the Basketball away! 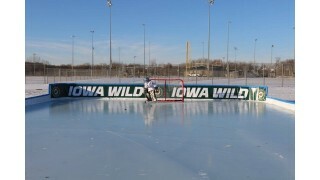 Lets play WILD hockey. 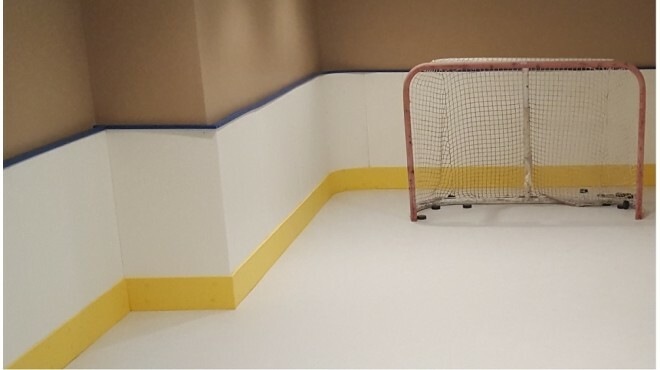 Hockey with synthetic ice in your basement! 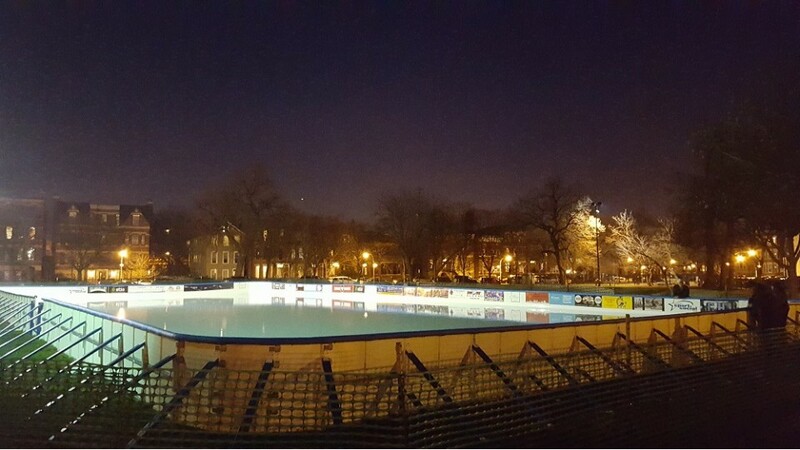 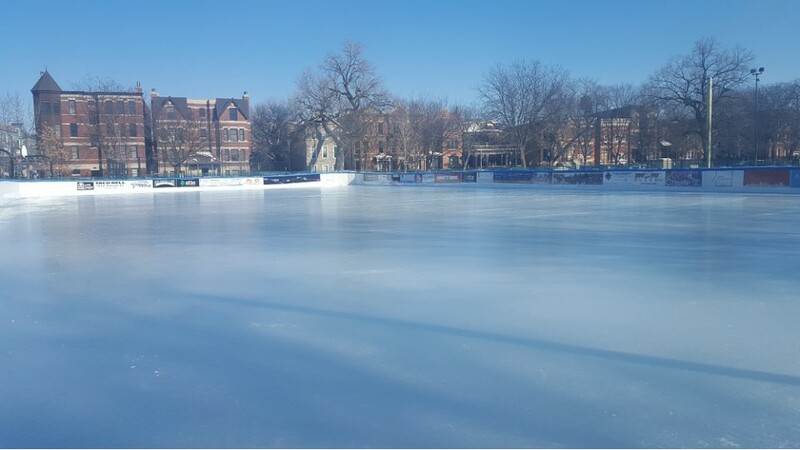 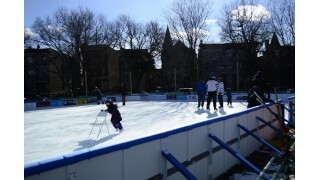 Urban dream rink, Wicker Ice Chicago. 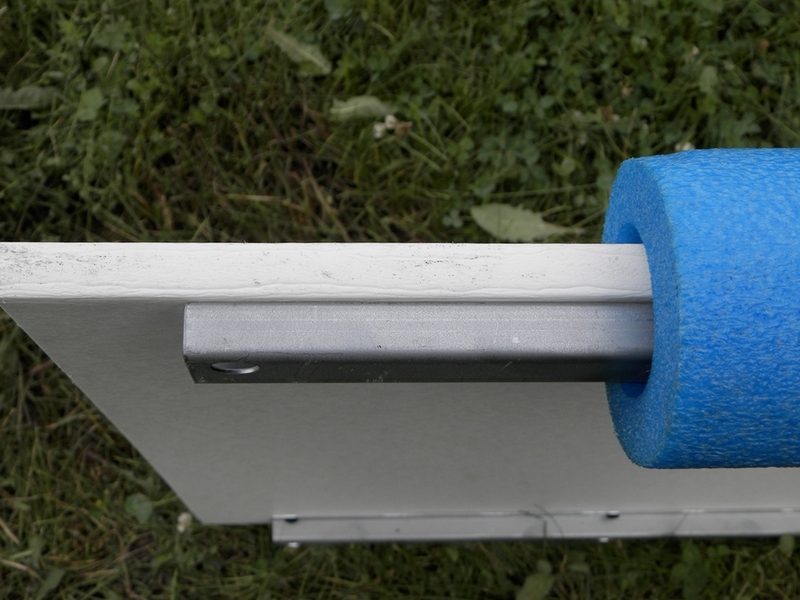 Poly Steel boards, stack'em up. 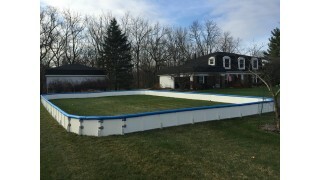 Now that looks very nice in the front yard. 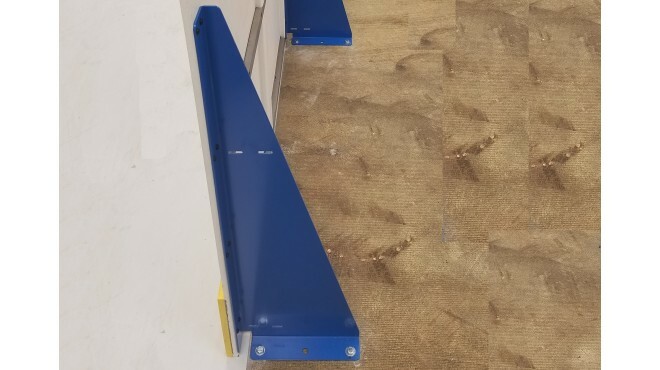 Cut in an entrance...No problem!! 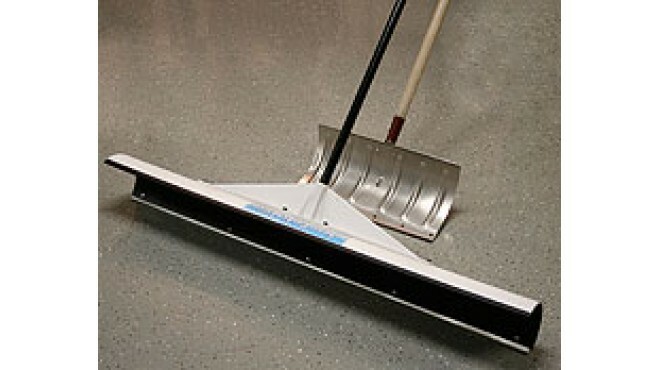 Driveway works too! I agree, hockey anywhere. 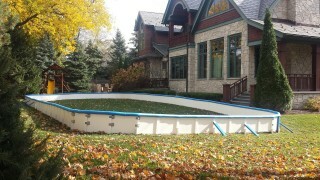 Roller in the fall, just waiting for the winter freeze. 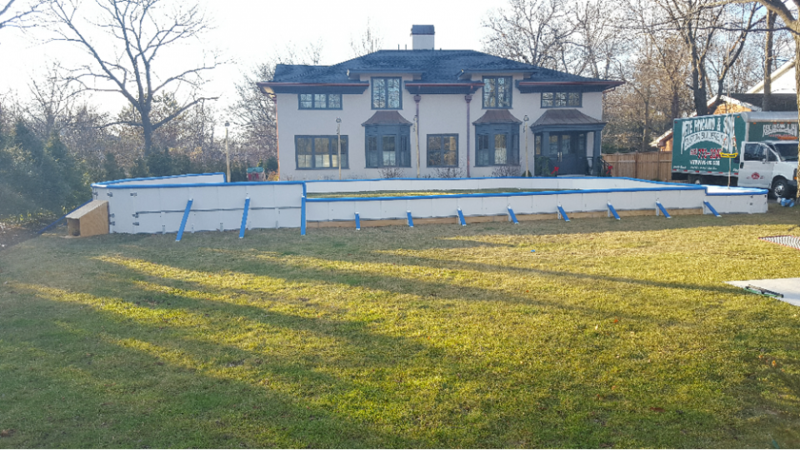 Snow banks are OVER-RATED. 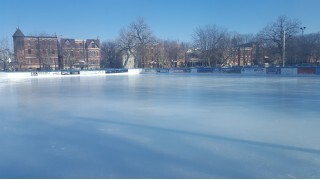 Poly pond by day. 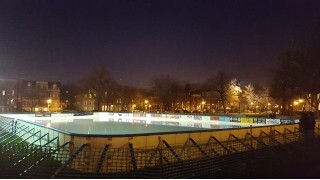 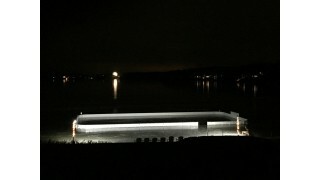 Wow, the POLY POND by Night! 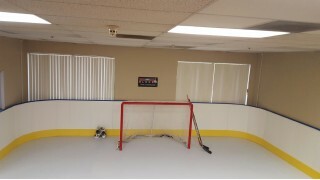 Steel framed plastic boards for indoor and backyard recreational hockey rinks. 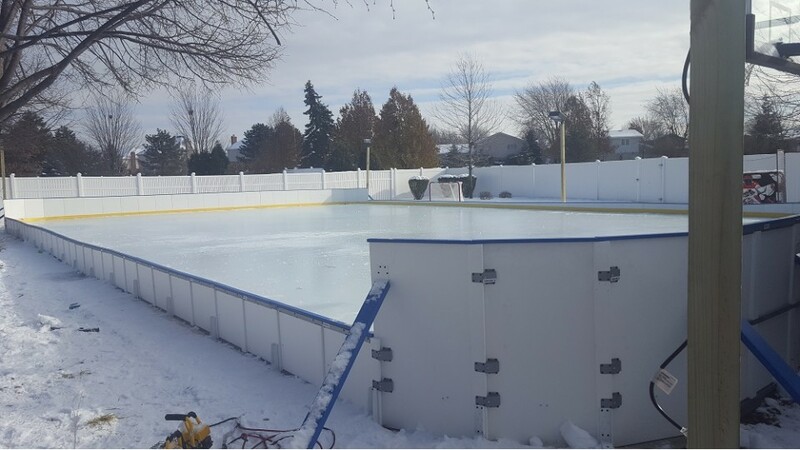 There are no other backyard ice rink boards or outdoor hockey rink boards on the market like Iron Sleek Poly Steel Rink Boards! 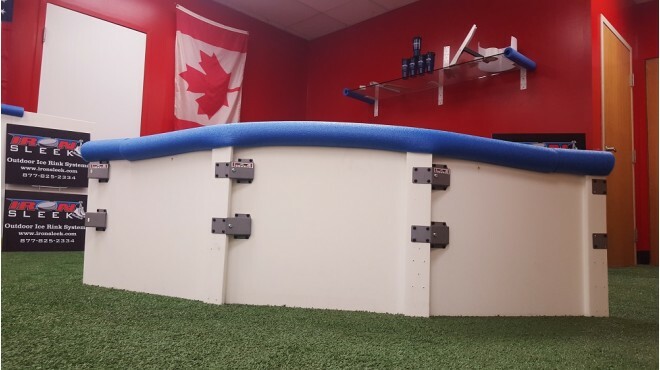 Iron Sleek boards provide you with options for upgrading and expanding so that you can build up to the rink that you desire. 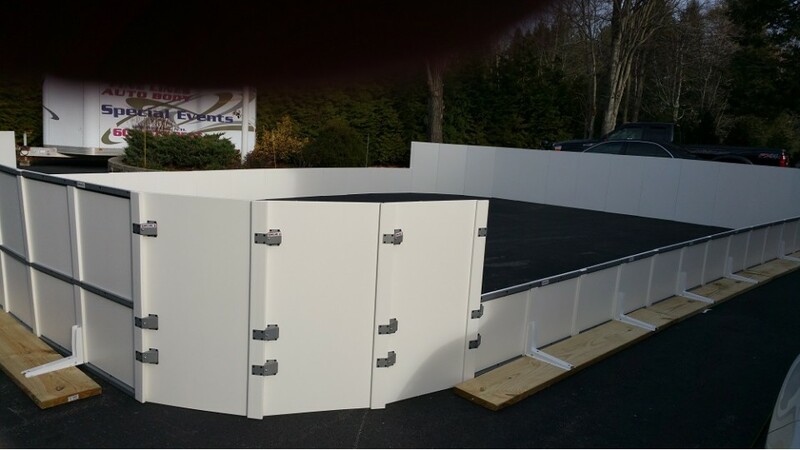 With this versatile system you are not bound to a single configuration or size. 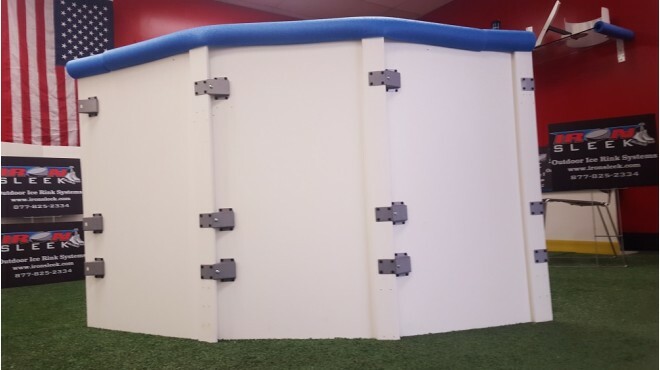 Boards can be cut to size, entrances can be cut in, they can be dressed up with cap rail or kicker and they can even be stacked for extra height. These backyard rink boards are specifically engineered for building rinks in the rugged varying outdoor conditions of the US ice belt States and Canada. 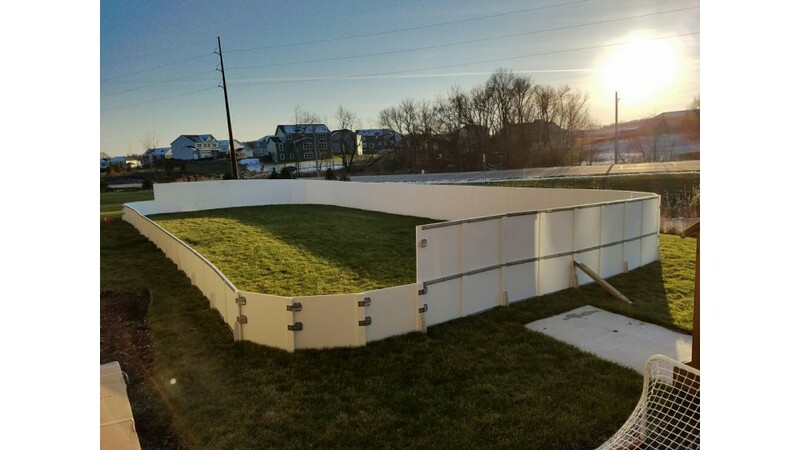 Iron Sleek Poly-Steel rink boards are designed and manufactured with a uniquely extruded HDPE poly-profile along with being supported with custom galvanized steel channels. 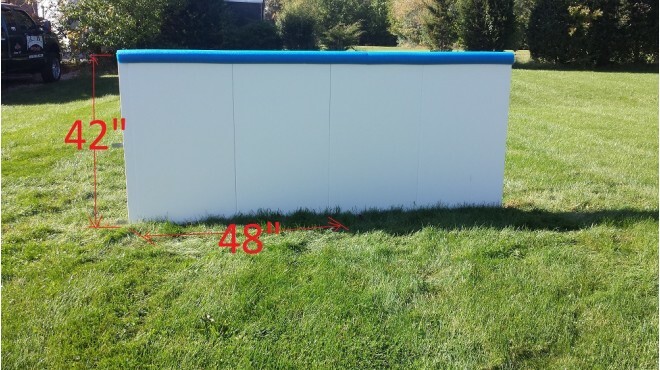 This is an awesome product at an incredible price point for outdoor hockey rink boards! 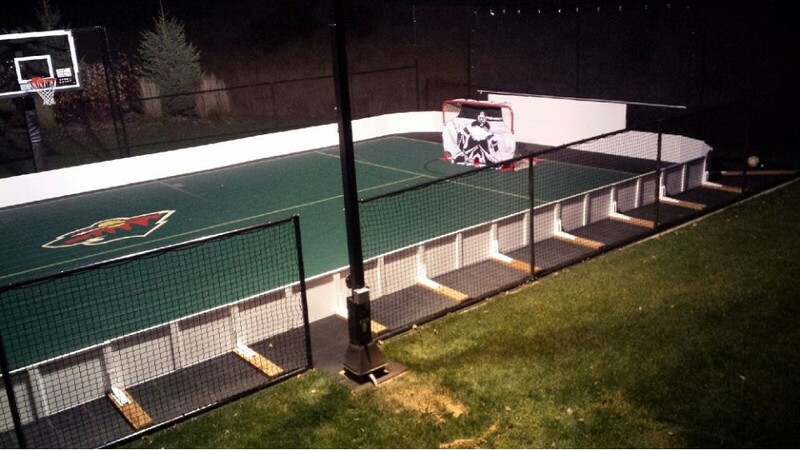 In addition, like all Iron Sleek products, these backyard ice rink boards are easy to use. 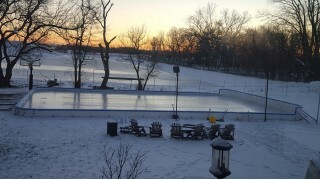 Our backyard ice rink boards are custom designed for you, the rinker!! 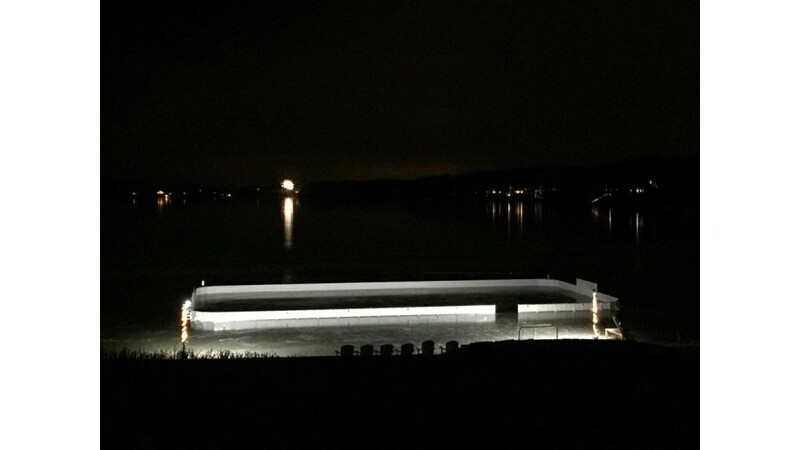 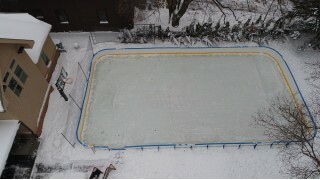 Our outdoor hockey rink boards are solid all the way through. Hollow boards don't compare. 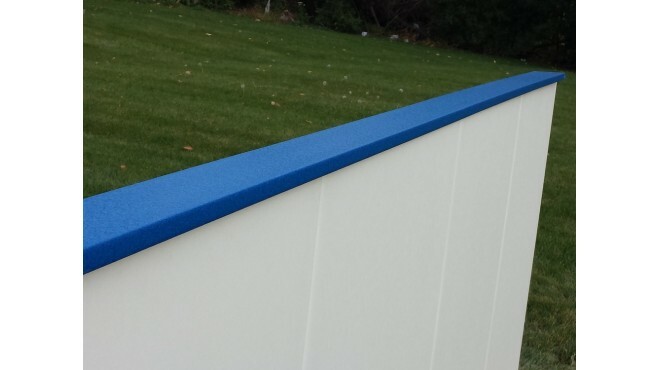 The poly panels for our backyard rink boards are 1/2" thick with vertical poly columns every 2 feet. 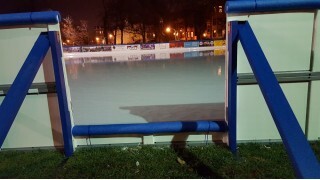 In addition, the steel channels give support and temperature stability required for hockey play in the outdoors. 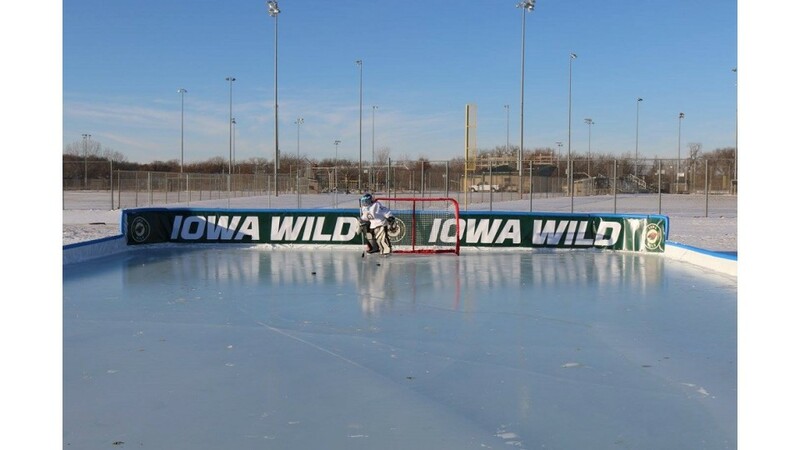 These outdoor hockey rink boards are solid! Iron Sleek Rink Boards are the ultimate outdoor hockey rink boards because they are engineered for versatility, strength, durability, temperature stability, and superb aesthetics. 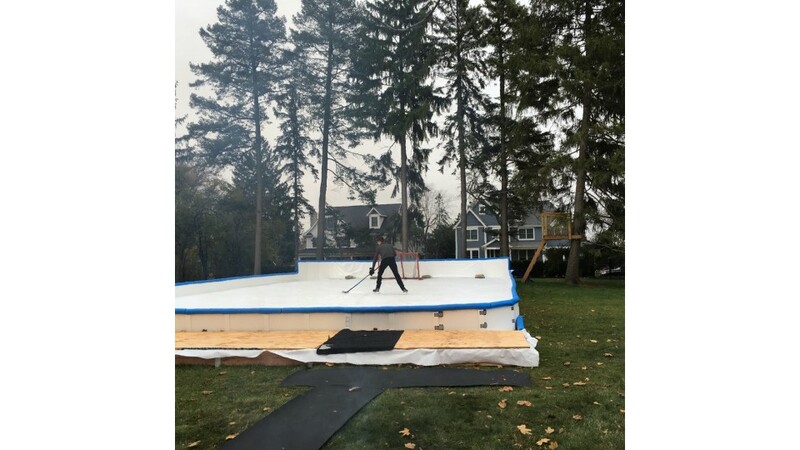 They can be a temporary seasonal set of backyard rink boards as they are manufactured in manageable 4 foot segments or they can be permanently mounted for year round rink activities. 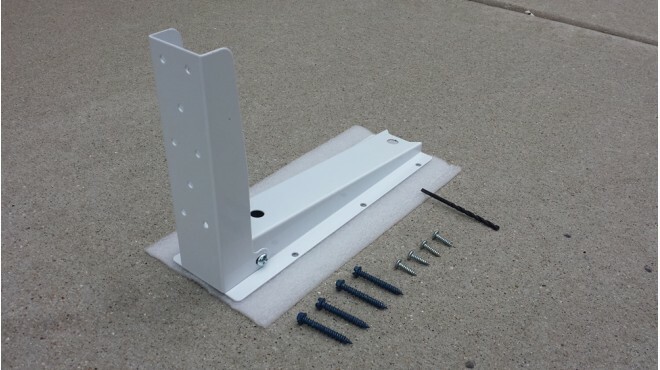 The integrated vertical lap joint is key making installing Iron Sleek boards a simple task, even on not level ground. 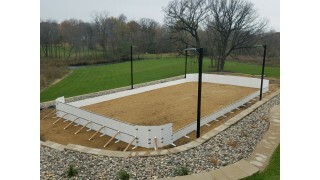 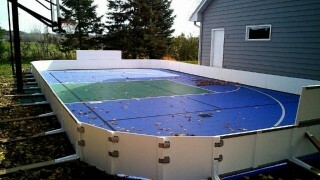 We have already seen the traditional flat plastic backyard ice rink boards fully framed with lumber, metal, or aluminum. 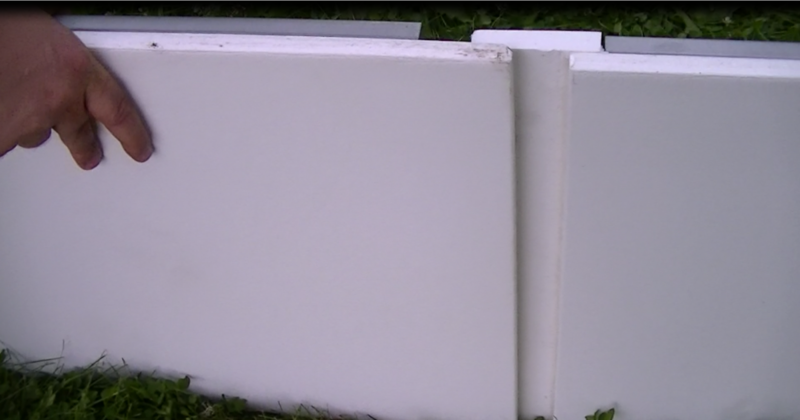 Traditional boards are nice, however, Iron Sleek Poly Boards are a BREAK THROUGH PRODUCT. 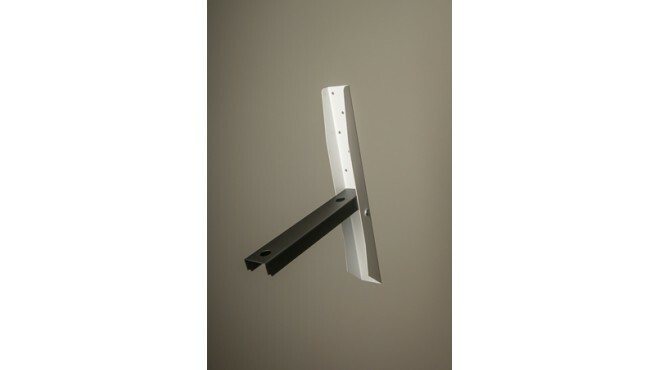 Iron Sleek brings you a SMART product at a SMART price. 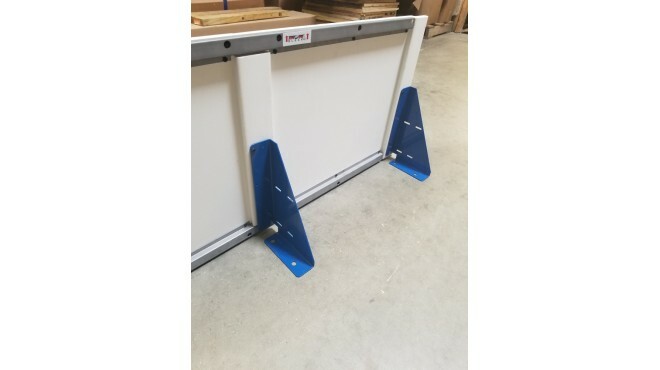 We set out to provide our customers a board that is durable, aesthetically pleasing, and versatile across a wide range of applications, while still making good financial sense. 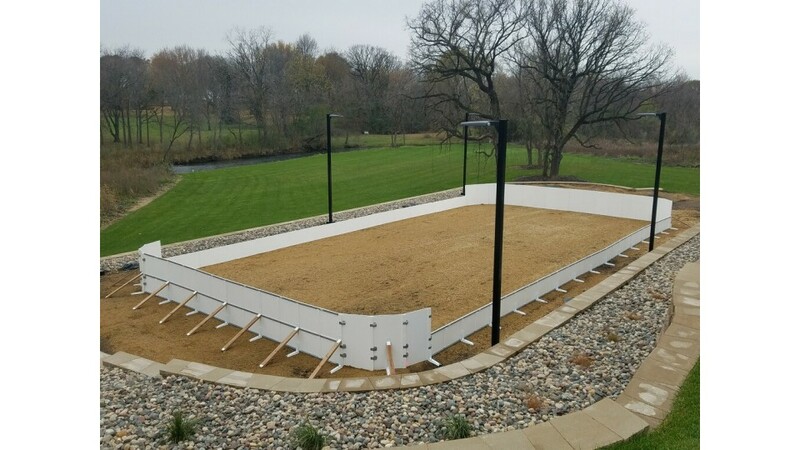 Iron Sleek backyard ice rink boards are a great option for parks, recs, public places and private individuals who want a more elegant solution over plywood or lumber side walls. 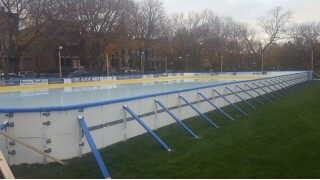 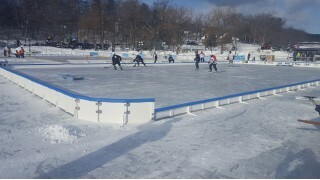 These outdoor hockey rink boards are also designed as permanent 4 season solution. Front and Back of backyard rink boards are SMOOTH bright white. Backyard ice rink boards looks like a dasher with galvanized channel from the outside. 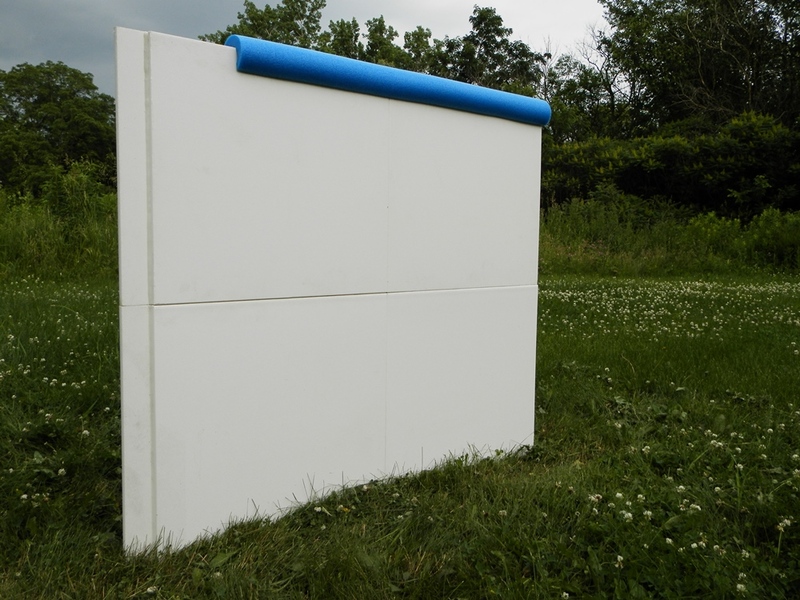 Standard height is 20" by 4 feet wide and 42" tall boards. 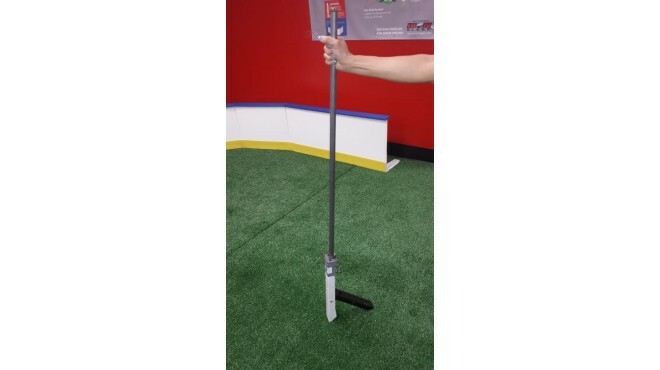 Lap joint adapts to uneven ground making rink building an easy DIY task, slips in on the front side and clips in from the back. 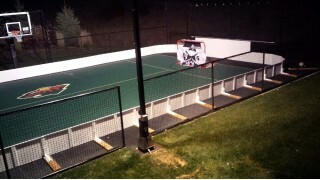 Iron Sleek backyard ice rink boards are not bracket specific. 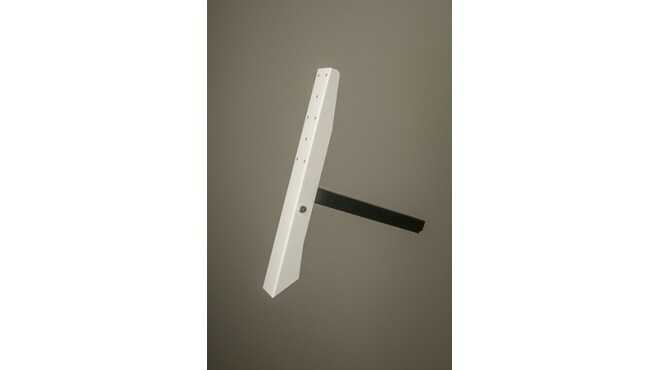 They work great with Iron Sleek brackets while easily adapted to other mounting methods. 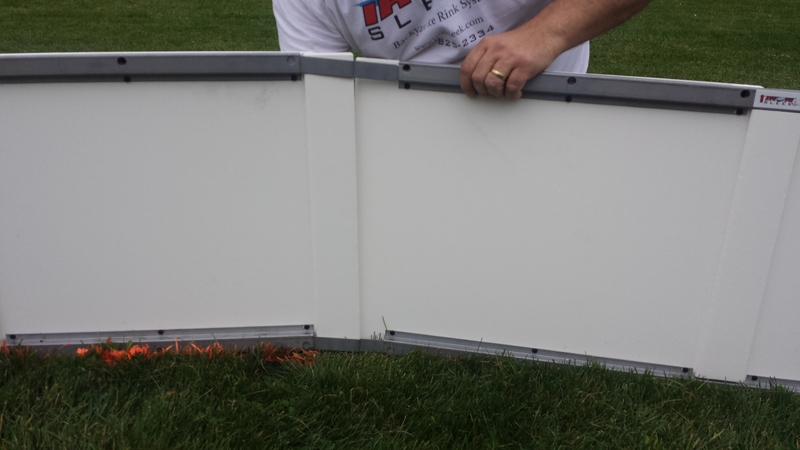 The panel has an included vertical that is designed for fastening. If you are using brackets that require a 3/4" thick drop in, give us a call, we can make that work for your backyard rink boards, too. 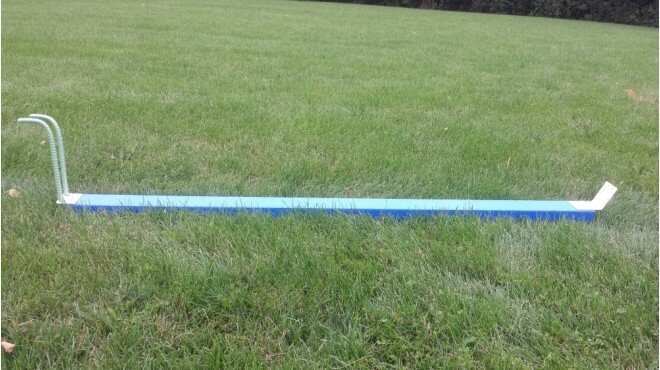 Boards are not bound to 4 foot increments on length since they can be cut. 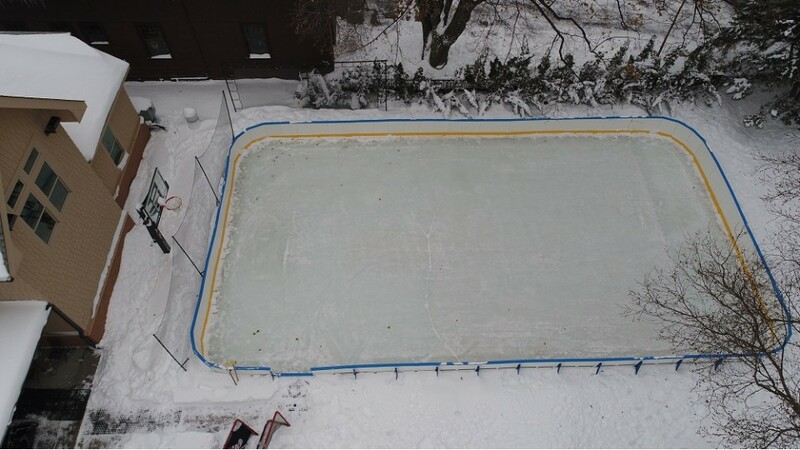 You can make your rink whatever size works instead just firm multiples of 4 feet. There is even a middle vertical can be utilized to add support to the outdoor hockey rink boards for more challenging sites. 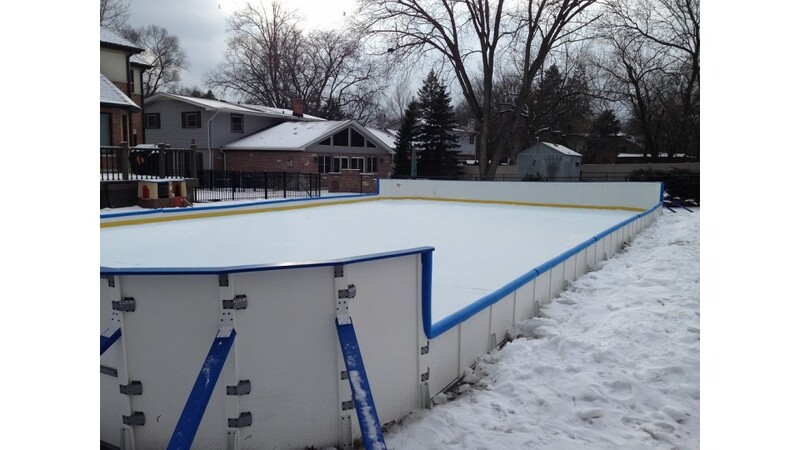 Iron Sleek backyard rink boards can be transitioned to plywood or other boards across the lap joint (i.e. 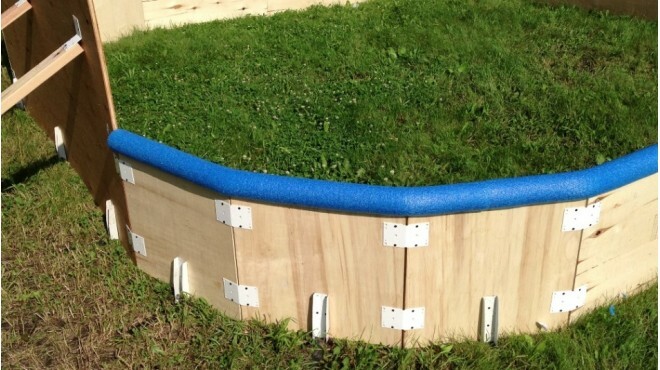 boards can be mixed). 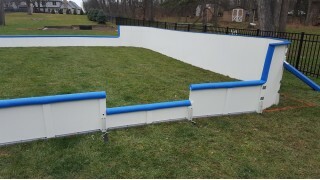 Rink Rounded segments come standard with purchase of a Rink Board Kit. 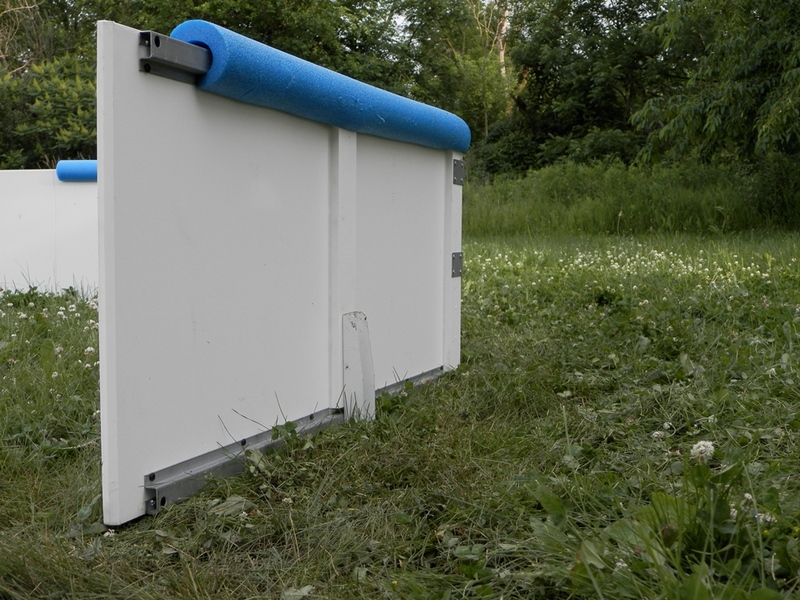 For a dasher appeal, Iron Sleek outdoor rink boards easily adapt for a colored cap rail. 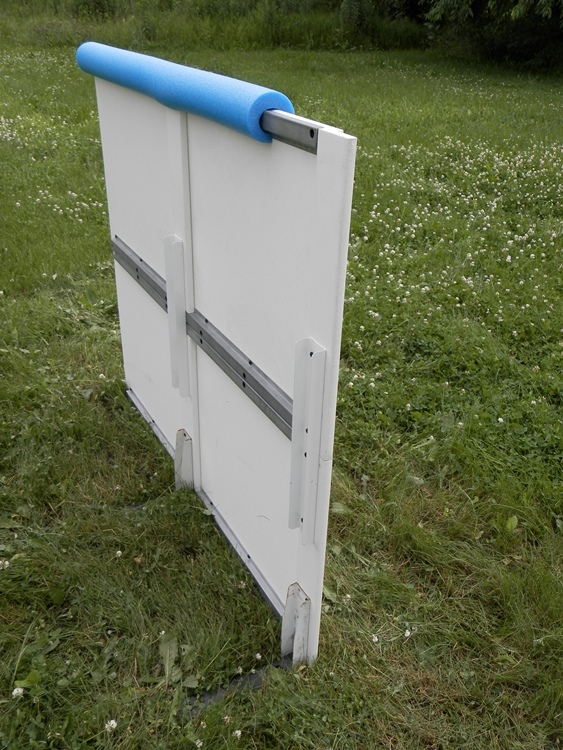 1/2 Thick Solid Polyethylene Plastic panels with 5/8" thick verticals every 2 feet. 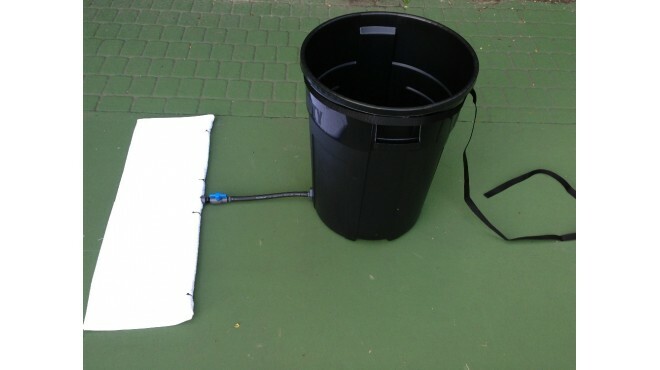 Water repellent. 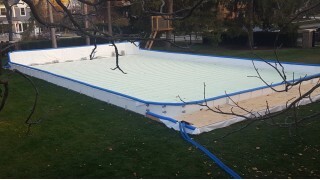 Backyard ice rink boards will not hold water, they are not hollow, and rather they are solid! 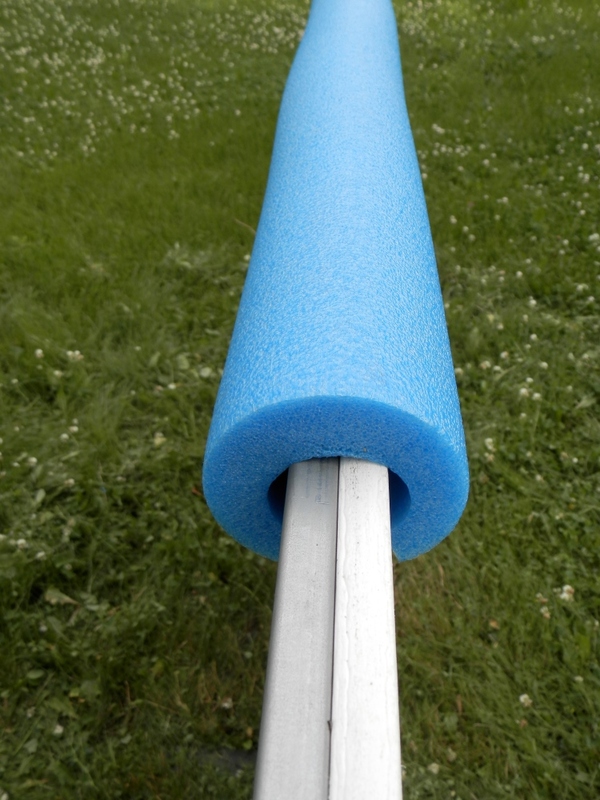 Nor will they absorb water as it 100% HDPE. 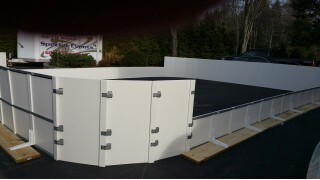 Temperature Stable Steel frame with mid board lap joints for plastic panel expansion. 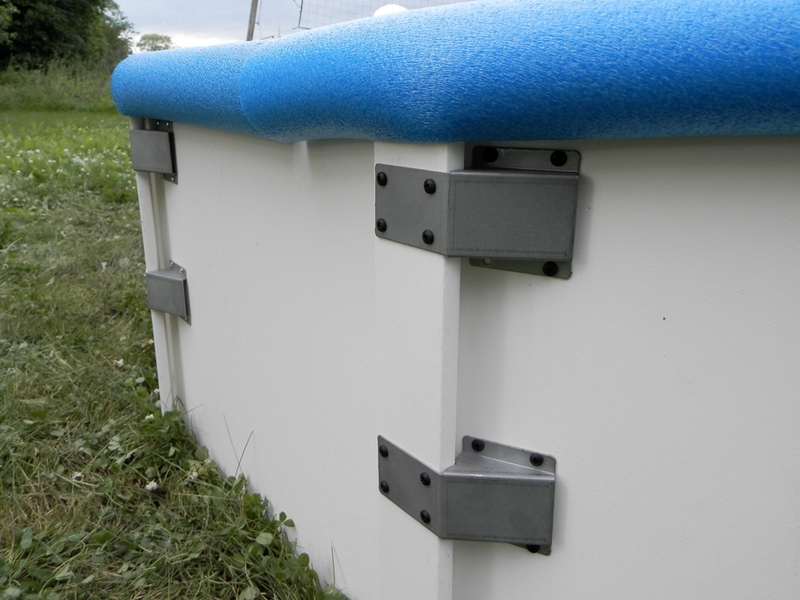 When the temperatures vary, the plastic board panels will slide across the slotted custom steel channels. 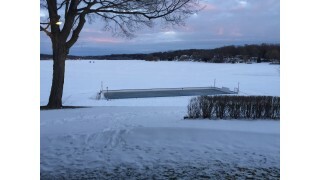 Truly a four season board. 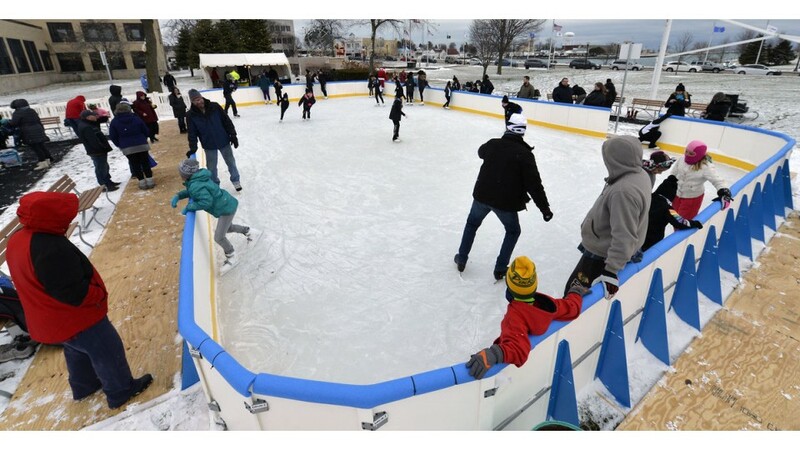 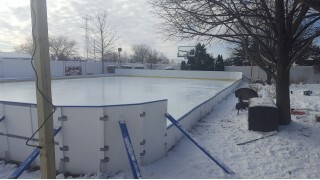 Iron Sleek Poly Steel Boards are the best option available for an outdoor ice rink! 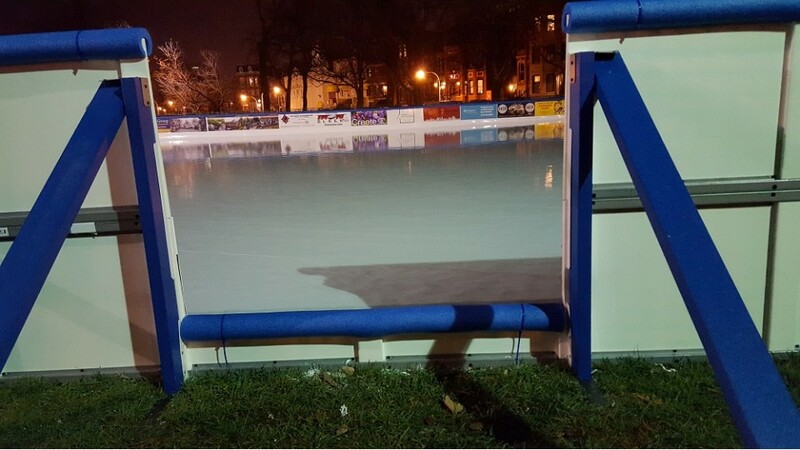 Our outdoor hockey rink boards look great, are simple to use, and are superbly engineered: all at a price that makes great sense. 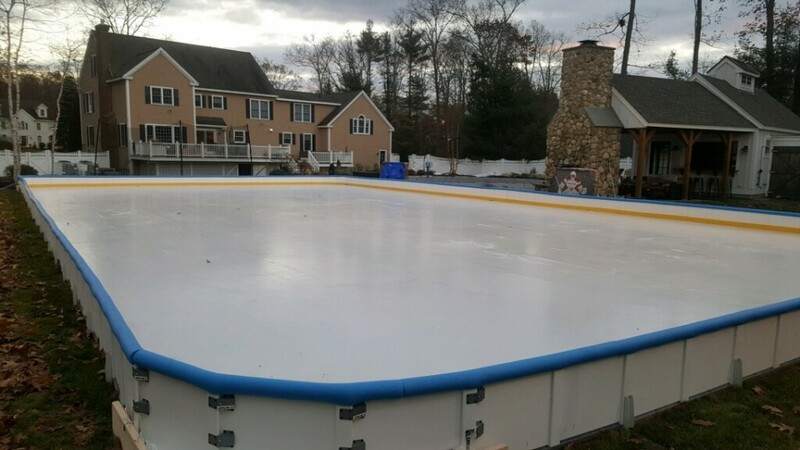 Iron Sleek Poly Steel Rink Board kits come standard with Rink Round segments. 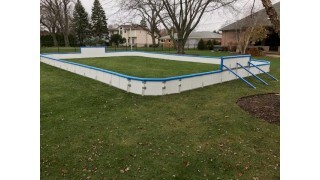 Backyard rink boards and round segments can also be purchased a la carte. Backyard ice rink boards Kit Options Include: Iron Sleek Brackets and Components, Ice Rink Liner, Foam, Yellow Base, and Blue Cap Rail. Order your backyard rink boards from us and you will receive the best outdoor hockey rink boards at the best price- start enjoying your backyard during the skating season! A standard Iron Sleek Poly Steel rink board is 4 feet long with a 2.375" lap joint. 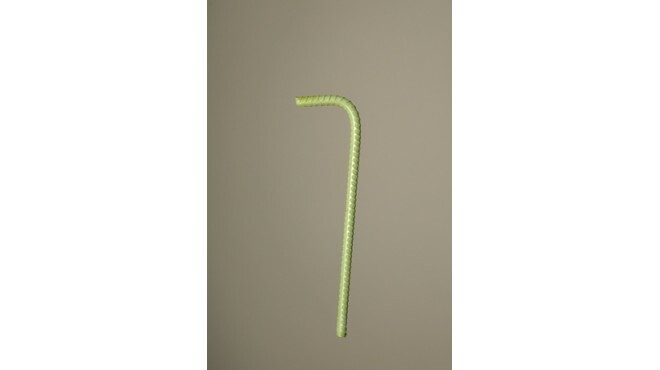 They stand at 20" tall. 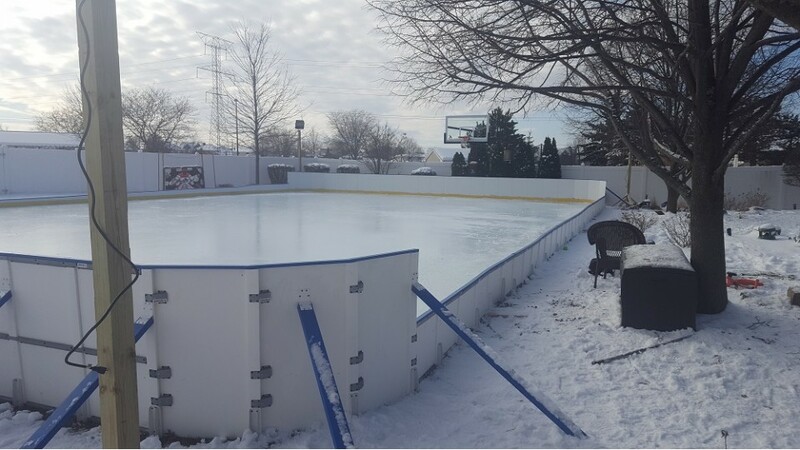 The boards are made of 1/2" thick HDPE (..
A standard Iron Sleek Poly Steel rink board is 4 feet long with a 2.375" lap joint. They stand at 42" tall. 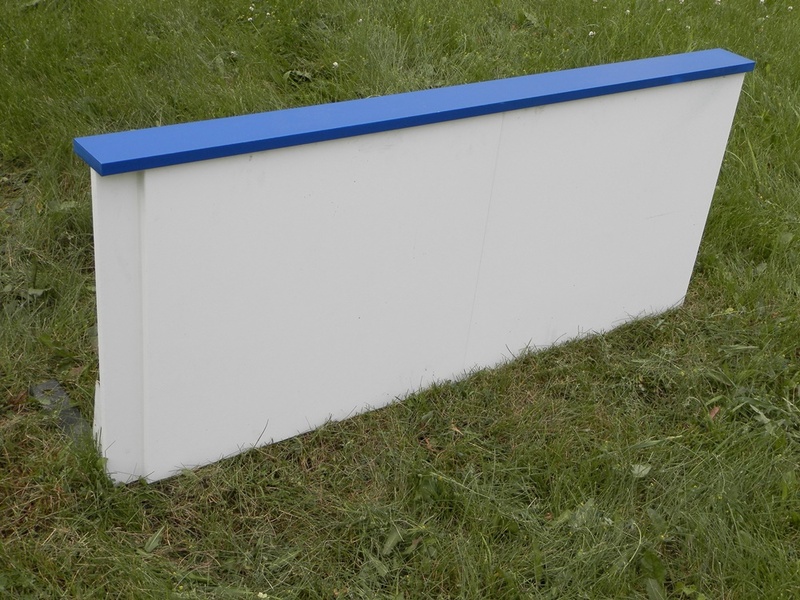 The boards are made of 1/2" t..
Iron Sleek 42" Tall Rink Board 10 pk. The Iron Sleek Rink Round packages comes with enough boards and latches to make one rounded rink corner. 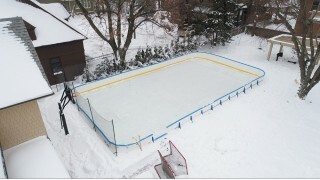 One rink round includes a.. 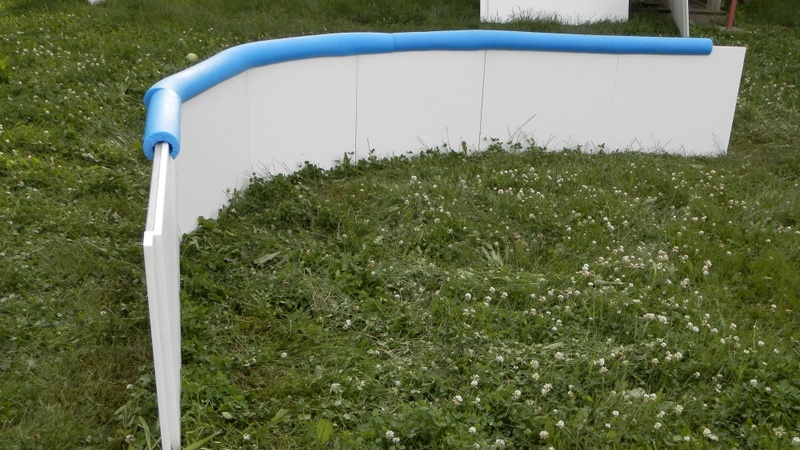 The Iron Sleek Tall Rink Round packages comes with enough boards and latches to make one rounded rink corner. One rink round inclu..
Iron Sleek Poly Cap Rail comes in bundles of six 4 ft. pcs. 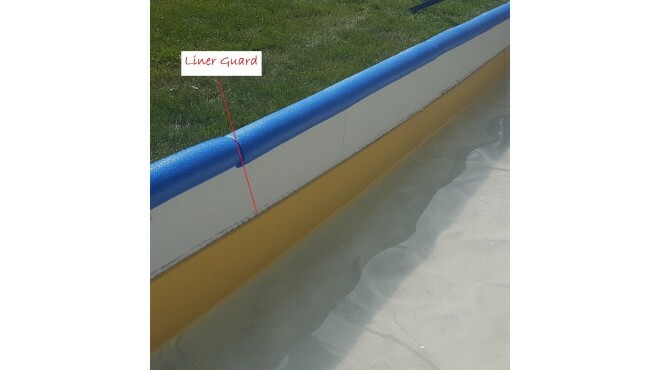 (Iron Sleek Blue) This package will cover 24 ft. of perimeter and includes mounting bracke..
Every kit and board comes with the mending tabs you need to assemble your rink. 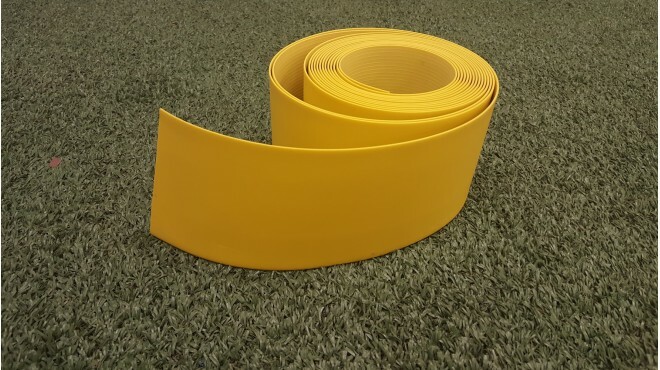 These are in case you misplace a few and need replacements. ..
A standard Iron Sleek Poly Steel rink board is 4 feet long with a 2.375" lap joint. 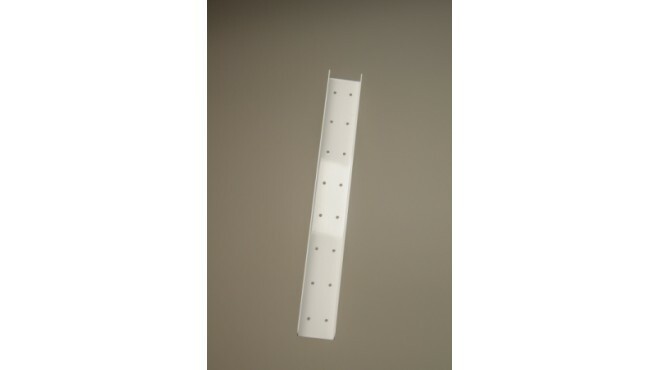 They stand at 20" tall. 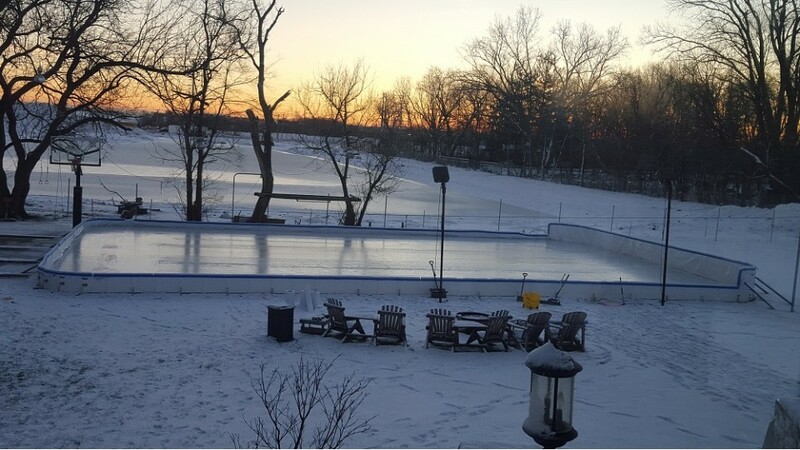 This is a 2' wide board or half widt..
A standard Iron Sleek 42" Poly Steel rink board is 4 feet long with a 2.375" lap joint. 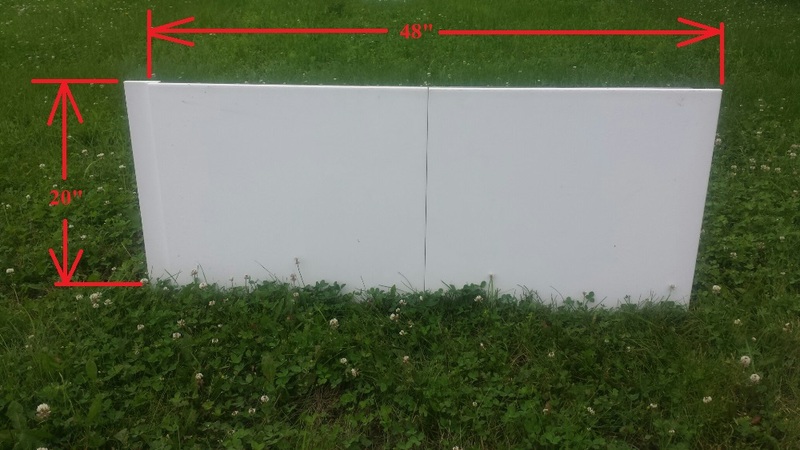 They stand at 42" tall. 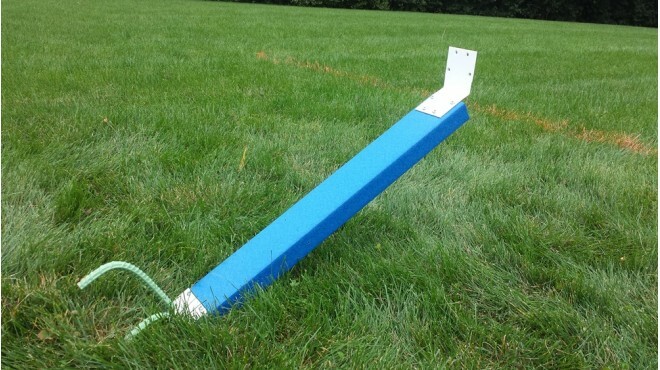 This is a 2' wide board or..